Is it high time we got some Casinos in India? Where is the biggest casino in India? I bet many of us cannot answer that question.Â The closest answer is Goa. The reason it is the closest answer is because there are no casinos within India. 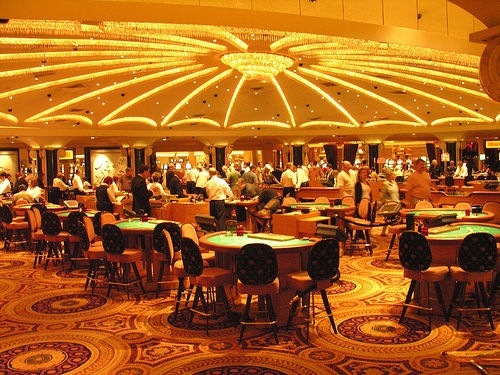 Goa considered as India’s only casino hub has these casino’s located offshore. A few miles away from the land on the sea. The casinos are built in shipping vessels with all the amenities – just like a real casinos in Vegas. One of the name of these offshore casinos is Casino Royale. No Kidding. Where else do we have one of these casinos in India? No where. Gambling is not legal and is not allowed on Indian soil. That is the reason why there is a casino rush on the coast of Goa. This offshore casino thing has an uncanny resemblance with the story of Hiranyakasipa from Hindu mythology. Hiranyakasipa was granted a boon to survive any kind of attack to become immortal. He cannot be attacked on the land nor on the sky and cannot be killed with a weapon. The god has better plans and actually kills Hiranyakasipa in between land and sky with finger nails which technically are not weapons. When the government has passed a law saying that the casinos are not allowed on Indian soil, it was quick to find a detour. It chose the water instead. There are up to 8 offshore casinos in India. All of them located on the coast of Goa. Interestingly, our neighboring Nepal has legalized gambling and casinos. So our Indian gamblers actually go to Nepal to satiate their appetite. With them they are taking some important revenues and making Nepal richer. Casinos are an important source of income for the state and the biggest booster for tourism in general. Many states wanted to amend special laws to capitalize on the tourist boom or to create a boom. Delhi has mulled a casino en route to Taj Mahal to capitalize on the Taj tourists. Now, Sikkim the state right next to Nepal is planning its first Casino at the Royal Plaza Hotel. 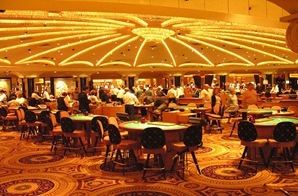 The casino was developed with 10 crores and has 6 games. It will generate 20 lakh rupees per year as license fee for the state of Sikkim. Once I read this news, the first thing I did was to look at the India map and find Sikkim. It doesn’t have any water body nearby. This really confused me because, the Hindu clip did not mention anything about an special amendment by the state. This made me wonder if the laws of Nepal are applicable in Sikkim? My broader question is this : Why go to such great lengths for such a simple thing as a casino? Casinos by default attract rich people. And rich people has money to spend and they know what they are doing. So, why not make the most out of it and legalize the casinos. This would mean more revenues for the government which would be good for paying off those farmer loans. Isn’t that a fair thing to do rather my tax money going into one of these populist schemes? We are also making our neighboring state richer. Technically that is our money which is going in there. Tourist boom or a gambling boom – whateverÂ – that money should come back to India. In tough conditions like these we just need to think out of the box and think of new ways to boost the economy. Legalizing casinos might not be a bad start. PS : I deliberately left out the gambling addiction problem as the post was getting too long. Source (1, 2, 3, 4,). Image credit. You sound like a guy with a lot of knowledge about casinos in India. Since its not a very popular or should I say common topic, I am quiet impressed with your article. I am looking to open a casino school in Mumbai, but I am totally unaware of the laws pertaining to it. Could you please guide me as to how can I get permission to open a school here. Your help will be much appreciated. Thanks. I think that if the government built and ran the casinos and put the profits into much needed programs instead of lining the pockets of already wealthy investors, then it might be a good thing. @Prachi : 1. The casinos will not be built by tax money. If there is approval a whole bunch of investors would come into pour the money for building the casinos. 2. Negative and positve is just a state of mind. I agree with your other ways of improving the tourist traffic. A post in total different taste.but then , it does get into its tru colors towards the end. Infact,The casino in Caravella-A star liner cruise that operates in Goa attracts a lot of the affluent gujju/maru crowd. See this is a tradeoff.